Black blazers, pocket crest, VN pin, white shirt, club tie, gray trousers, black shoes and belt. Provide names, DOB of guests by noon April 11, 2019; bring parking tickets for validation; write your names on the tickets. All Vietnam Veterans receive a free sandwich on March 29. For those observing fish on Fridays during Lent, Salmon and Mac and Cheese will be available. 1600 (BEWARE OF DAYLIGHT SAVING TIME CHANGES): PLEASE BE ON TIME! Brunch reception circa 1030 at Fort Meyer Club. PLEASE INDICATE YOUR ATTENDANCE (FOR COUNT) ON THE SURVEY! Rehearsal: 1330 – THIS IS NOT A TIME TO LEARN YOUR MUSIC. It is a time for Nancy to fix minor things. 1830 PLEASE BE ON TIME; LOTS OF TRAFFIC! No cost. We are guests of the K of C. Heavy hor d'oeuvres, wine, beer and soft drinks . Refer to your email for program details. Parking is to the left hand side of the building, ie Visitors Parking. To get to 3rd Floor Classroom you can either go around through the main level ballroom door and straight thru to the stairs (no elevator access) OR if you go around the building to the rear on the asphalt path, you will find the rear entrance near the loading dock that gets right to the stairs to the 3rd floor. Parking: Parking spaces are very tight. If possible car pool! If you can arrange to meet others to save parking, you can park along Spring Village Pkwy or Hampton Creek Way and ride in together. Please arrange on your own! None: Bring worn out flags for a ceremonial retirement and proper burning. Please use GPS for directions. We are restricted to forty seats for guests. Please plan accordingly. Provide names, DOB of guests by noon October 26; bring parking tickets for validation; write your names on the tickets. Lederhosen, dirndles, kilts, ya vol! Provide names, DOB of guests by noon October 11; bring parking tickets for validation; write your names on the tickets. CHANGE: Black blazer, pocket crest, VN pin, white shirt, club tie, gray trousers, black shoes and belt. MOTL, AM at the Memorial Service: The Corps (new words) and Parting Glass (no songbooks) at the reception (Koran Room of the Fort Myer Club); Other WP favorites as may be requested. Provide names, DOB of guests by noon September 20; bring parking tickets for validation; write your names on the tickets. 1215 THIS IS A CORRECTION SORRY! PLEASE CHANGE THE SURVEY IF THIS CAUSES YOU TO BACK OUT. WATCH THIS MINIORD FOR CHANGES DUE TO WEATHER! Latest update below as of 0905, July 21. 1. REGRETTABLY, WE HAVE TO CANCEL THE COMMANDERS PERSPECTIVE PRESENTATION DUE TO WEATHER. 2. Bring umbrellas and closed toe shoes are recommended. 3. The show and picnic will go on! IF ANY TIMING CHANGES, I WILL ANNOUNCE IT HERE! 1:30 pm. Meet near Auto Tour Stop 4, the North Carolina Memorial, on West Confederate Avenue, 3/4 mile south of PA Route 116 (West Middle Street. We will gather in nearby shade to consider the command decisions of General Robert E. Lee, Army of Northern Virginia. Lawn chairs are suitable as we will be in place for about an hour. I will provide driving instructions to our other stop. 3:00 pm. Meet near the Meade equestrian statue, close to Auto Tour Stop 15, on the east side of Hancock Avenue. Here we will consider the command decisions of Major General George Gordon Meade, commanding general of the Army of the Potomac at Gettysburg. Singers and one guest are free; others are $35. Register at the link below. SSB, POW, WWI, PG, OBOAT, TOF, WPATC Subject to change! They have a new caterer this year! SSB, MOTL (We will be singing early in the ceremony both songs together) You may depart after singing. Tuxedo with pocket crest, medals, VN pins. Approximately $25 per person age 12 and up. PLEASE BRING CHECKS MADE OUT TO TERRY RYAN. Hay rides (sans hay), fishing in the pond, swimming in the pool, cow/calf watching, lawn games, etc. Grandkids and kids of your extended family are invited. Watch for signs for parking; PLEASE BRING YOUR OWN LAWN CHAIRS FOR COMFORT! *** We ask that each "family group" bring EITHER a "finger style" appetizer or "finger style" dessert for TWICE the number in your party. Please NO LEAVE BEHIND SERVING CONTAINERS. Please indicate your choice of appetizer or dessert on the survey for balance purposes. 1. There is a reception after the service. Provide names, DOB of guests by noon May 24; bring parking tickets for validation; write your names on the tickets. Provide names, DOB of guests by noon April 27; bring parking tickets for validation; write your names on the tickets. 1500 (PLEASE BE ON TIME!) LOTS OF PEOPLE WILL BE USING THE TRAM STARTING AT 1430. BE AWARE! Parking: Access parking from Memorial Avenue; automated pay system; take a ticket when entering garage; keep ticket with you; pay at the kiosks in the Welcome Center before returning to parking (cash or credit card); credit card only stations at the parking exit locations; once the ticket is paid you have 20 minutes to leave; lost tickets pay the full day rate. It looks like the rate is about $2 per hour. The tram from the Welcome Center to the amphitheater starts running at 1430. RECOMMEND BEING READY TO USE THE TRAM AT 1430 DUE TO LARGE NUMBERS OF ATTENDEES. The tram will return to the Welcome Center. If going to the reception, you must walk from the Welcome Center to the Women's Memorial. Provide names, DOB of guests by noon April 13; bring parking tickets for validation; write your names on the tickets. All Vietnam Veterans receive a free sandwich on March 29. Hamburgers, cheese burgers, fries and onion rings ($10 per person); Cash bar. WPAGC Golf shirts for singers but otherwise casual. Irish bowler hats will be provided. This an open evening at the restaurant so bring your friends to join in. We will sing the Alma Mater after the Arlington Lady departs at the end of the service. DRESS WARM! We have been invited to sing a few songs at the post interment reception. We will sing the Alma Mater after the Arlington Lady departs at the end of the service. DRESS WARM! TO THE BEST OF MY KNOWLEDGE, FUNERALS AT FORT MYER ARE FOR THE NEXT FEW DAYS ANYWAY, UNAFFECTED BY THE SHUTDOWN! IF ANYONE LEARNS ANYTHING DIFFERENT, PLEASE CALL ME! SEE YOU IN THE MORNING! 1000 Please come earlier please. Parking and seating will be an issue. None: Guests are invited to attend. A lunch will be provided following the service! There will be an "after glow" at Meg Roosma's home (40858 Spectacular Bid Place, Leesburg, VA) following the concert. Directions corrections: Your turn off of Cherry Hill Road is a right onto PLUM ORCHARD DRIVE that becomes Gracefield. Alternatively you can turn right on Gracefield off of Cherry Hill. You will end up at the same place. We will need some stage help with this one please, 4 pm. 0830 THE TSA ADVISES US TO BE THERE BY 0830 DUE TO SOME NEW PROCEDURES. Please provide guests ID card name and DOB if first honor flight attendance! DUE: October 13 by noon. Please provide guests ID card name and DOB if first honor flight attendance! The Church of the Epiphany, 13515 Dulles Technology Drive, Herndon, VA, 20171 (This is somewhat an industrial area as this apparently a temporary location for the church). Dulles Technology is off Sunrise Valley Drive west of Centreville Road. 0830 (Adjusted time) Meet at the MAIN Fort Myer Chapel across from the PX. Park at Fort Myer as for Honor Sings. A bus will pick us up and take us to Lincoln Memorial and then return us after the ceremony. PLEASE BRING ONE OR TWO FOLDING CHAIRS (CARD TABLE STYLE) TO LOAD ON THE BUS AND USE AT THE MEMORIAL, ASSUMING YOU MAY WANT TO SIT. THESE SHOULD BE THE REGULAR CARD TABLE FOLDING CHAIRS. More to follow but this is the plan right now. A change to the routine is that all singers on the field must have an ID card obtained at the Nationals Security Office. REQUIRED TO BE ON THE FIELD. A reception for classmates will be at Ruth Chris in Crystal City. George Mason University Women's Softball Field, 4601 Rapidan River Road, enter off Braddock Road via West Campus Way. Black blazer, pocket crest, GOLF SHIRT, gray trousers, black shoes and belt. If entitled, please wear your Viet Nam Veteran pin on your left lapel. Black blazer, pocket crest, white shirt, club tie, gray trousers, black shoes and belt. If entitled, please wear your Viet Nam Veteran pin on your left lapel. Parking is being comped. Park in the clearly marked areas and bring your parking ticket with you to rehearsal. YES, this is a change! From Northern VA, the drive can be long. Allow two hours! Be sure you are in the LOCAL lanes going from VA to MD. An alternative to I 495 may be to use the Fairfax County Parkway all the way to Van Dorn, then Van Dorn north to Eisenhower to Route 1. It may bypass some of the Friday afternoon traffic. An "afterglow" opportunity will be at Fiona's, 5810 Kingstowne Center, Alexandria, VA 22315 after the performance. The Fairfax is near the corner of Route 1 and Telegraph Road. Best to enter off Telegraph Road. Park in the West parking lot. Reserved spaces for WPAGC will be marked with cones. Remove the cone and park and walk up to the Community Center. We will march in with charged glasses in hand so we can join the toast. No dinner is involved. It is a sing and dash. Knights of Columbus, the club is in the rear of the mansion, enter from the left hand side while facing the mansion. Please park in the lower lot. This is our opportunity to bid a fond farewell and best wishes as Aaron and Holly (who is already at their new station) continue their careers. All singers and signficant others are welcome. Fifteen dollars per person. To be collected at the dinner. Checks made out to WPAGC. AFM, MOTL, TOF(S) Bring songbooks for singing this song. Tuxedo, pocket crest, medals, VN pin, black bow tie and cummerbund. Sorry, no dinners are provided for this event; guests may attend and listen to the concert. A WPAGC dinner opportunity will be provided elsewhere. INCLEMENT WEATHER LOCATION: Gettysburg Museum and Visitor Center, 1195 Baltimore Pike *** DO NOT GO TO THE EISENHOWER FARM! Black blazer, white shirt, club tie, pocket crest, VN pins, gray trousers, black shoes, socks and belt. "After glow in Gettysburg is being arranged; info at rehearsal." 0630 (Please be thru security by 0630) The flights come each half hour. We should be done by 0900. Singers are free; guests are $46 per person; bring checks made out to WPAGC and give to Mo. Meal choices are: Beef or salmon; BRING RALLY GEAR AND SONGBOOKS FOR TOF. 1800 on the risers; for those not dining please be there by 2130 in a location to be announced. WATCH THIS SPACE! National Anthem, Princeton Fight Song (recorded marchon - NO SINGING), Slum and Gravy, OBOAT, If You're Good Enough, Testament of Freedom (Short), Alma Mater BRING SONGBOOKS AND RALLY GEAR! CSA is the speaker, Princeton Class of '80, thus the fight song. 1700 THIS IS A BIT EARLIER TO PROVIDE REHEARSAL TIME! Singer and ONE guest are comped. Holiday Inn Midtown 57th Street between 9th and 10th Aves. 1600 THIS IS A TIME CHANGE! WE NEED MORE TIME TO REHEARSE A BIT! None: Performer and one guest are included for the dinner and one complimentary drink; cash bar after that. Free parking. None Dinner is provided. Guests are welcome! Seminars with the students run from 0852 to 1052. 1300 Please be on time. 1300 to 1400 rehearsal in the classroom on the lower level of Crestview Station. Our performance is in Erickson Hall, also on the lower level. 1400 to 1430 sound check on the risers. 1430 to 1500 final concert preparations, including changes into concert uniform if neede. Guests are welcome; Lot N is reserved for singers PLEASE PARK THERE! If cones are blocking, remove them and park anyway! Directions: From I 64 east exit onto VA 199 East, take the VA 321 West exit and continue on VA 5000, turn left on Glensprings Plantation, then right on Route 5. Patriots Colony will be on your right. Graveside service; sing after the Arlington Lady departs. Bring water and songbooks; pizza lunch will be provided. 0630 AT THE GATE, PLEASE ALLOW TIME FOR SECURITY DUE TO THE NUMBER OF PEOPLE EXPECTED, THE ORGANIZERS REQUEST MAXIMUM CAR POOLING AND EARLY ARRIVAL! Please provide guests ID card name and DOB if first honor flight attendance! NEED THIS BY NOON, THURSDAY, SEPTEMBER 30! The tickets are $39 each, with a $10 value (helps pay for food/drink). There is a $4.50 "Convenience Fee" per ticket that we can't avoid. And they add an "Order Processing Fee" per order. Strongly suggest you print the tickets, yourself, and avoid "will call" window problems." This is a community event at Gary's Church. Food will be available for purchase I believe. All singers are invited to the post interrment reception. Reception to follow interrment at the Women's Memorial. Black blazer, pocket crest, white shirt, club tie, gray trousers, black shoes and belt. We have arranged for an "after glow" for those interested in eating together after the sing at Yardhouse at Springfield Town Center.6791 Springfield Mall. 0715 AT THE GATE, PLEASE ALLOW TIME FOR SECURITY DUE TO THE NUMBER OF PEOPLE EXPECTED, THE ORGANIZERS REQUEST MAXIMUM CAR POOLING AND EARLY ARRIVAL! Please provide guests ID card name and DOB if first honor flight attendance! NEED THIS BY NOON, THURSDAY, SEPTEMBER 15! NEW UNCERTAINTY: The parking situation is confusing. You MAY or MAY NOT be allowed into the Admin Building Parking Lot. Explain you are going to the Women's Memorial. Otherwise you may have to park in the Arlington Cemetery Visitors Lot. Sorry, we cannot get better information on this matter. We will sing the vets into the Memorial Lobby (like a regular Honor Flight except they will be coming off buses), then we will sing SSB, AFM, Happy Birthday and GBTUSA. Then we depart prior to lunch! PLEASE INDICATE COMMITMENT ON THE SURVEY! 0845 AT THE GATE, PLEASE ALLOW TIME FOR SECURITY DUE TO THE NUMBER OF PEOPLE EXPECTED, THE ORGANIZERS REQUEST MAXIMUM CAR POOLING AND EARLY ARRIVAL! July 16, 2016 This date has been corrected. Reduced picnic cost of $20 per person for performer and one guest - all others $25 per person; pay Mo please! Yes; please provide final counts via the survey by July 8. Go west on Millerstown Road. It is off Route 15, south of Gettysburg at the Peach Orchard intersection. In about three miles, there is a left hand turn to the south to the Eisenhower Farm. It can be easy to miss as it is not (at last visit) well marked. There is a small guard house like structure at the turn. You can also get there via Eisenhower Farm Road but it is more indirect. THERE IS PLENTY OF PARKING AT THE FARM! GO DIRECTLY TO THE FARM! There will be private tours of the Eisenhower home, putting contest on Ike's PGA putting green, a Park Ranger presentation, a flag lowering ceremony, and the picnic supper featuring Ike and Mamie's favorite foods. 0945 A little extra time is needed. Black blazers, pocket crest, white shirt, club tie, gray trousers, black shoes and belt. BH, Eternal Father, GBTUSA, GBA, Please bring your songbooks. Limited parking is available under the building, enter to the right side as you face the building. We are invited to the reception at 1730. GEN Sullivan is the main speaker. We will sing at the beginning of the event and then leave with our equipment. THOSE WHO wish to stay are welcome to do so! 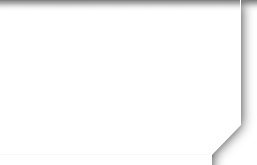 Gametime is 1205 according to Nationals website. 0645 AT THE GATE, PLEASE ALLOW TIME FOR SECURITY DUE TO THE NUMBER OF PEOPLE EXPECTED, THE ORGANIZERS REQUEST MAXIMUM CAR POOLING AND EARLY ARRIVAL! Please provide guests ID card name and DOB if first honor flight attendance! NEED THIS BY NOON, FRIDAY, JUNE 3! Use valet parking. Bring your ticket with you to the event. Validation stickers will be provided. Parking in the garage OTHER than by valet WILL NOT be comped. REASON: The guests will start arriving between 1715 and 1730. We want to get there early so we avoid the expected long valet lines. And while Nancy will counsel otherwise, early arrival provides us more time to enjoy the reception after we rehearse and do sound checks. A room will be provided for us so you can change there if you wish. Water will be provided. PLEASE COME TO THE BALLROOM AT 1700 FOR OUR WARMUP AND REHEARSAL! 1. There is not cost for performers. 2. FREE Valet Parking; USE IT! DO NOT PARK IN THE GARAGE YOURSELF OR YOU WILL PAY! 3. Please provide a check made out to WPAGC for $140 for each guest you are bringing. Guests are welcome at $140. RESERVATIONS ARE NOW CLOSED! The hotel is one and a half blocks north of Washington Circle. Five minute walk from Foggy Bottom Metro. 1. Attire for attendees OTHER THAN WPAGC performers is business suit. Similar for the ladies. 2. Please spend some time validating your knowledge of the music. This is a signature performance for WPAGC. Chuck and I found the best route is I 270 to connect with Norbeck (Rt 28). Use the Norbeck Blvd Entrance (off Norbeck Road) and go straight across Leisure World Boulevard. The auditorium building is a couple blocks in and you will end up in their parking lot. It is best to park to the LEFT of the building as you will be right at the auditorium and if you look for the large doors they will be open directly to the green room. The Meadows near Warrenton, VA.
INCLEMENT WEATHER DECISION WILL BE MADE AT NOON AND POSTED AS AN ANNOUNCEMENT ON THE WEBSITE. Admission and parking is free. Suggest you bring umbrella charis to watch the match. ENTER AT GATE 2, YOUR NAME WILL BE ON THE LIST IF YOU SAID YES TO THE SURVEY . PRE GLOW at McMahon's Irish Pub in Warrenton, 1700 if not rained out. 1100 YOU MUST BE PARKED AND AT THE WINNERS CIRCLE BY 1100; GATES OPEN AT 1000, TRAFFIC IS HEAVEY START EARLY! I have parking passes, gate passes for singers and guests, etc. I need to get these to you some way, preferably at rehearsal. Admission and parking will be free. We will have our own area for the races. Drink and food will be done on a "pot luck" basis. More detail to follow. The Supe is the speaker! A chance to congratulate one of our own on their career! Singers and guests may attend the singing portion only. Water and pizza lunch with sodas will be provided. Blazer uniform, white shirt, club tie, pocket crest, gray trousers, black shoes and belt. Lunch may be available. Bring cash just in case! AGR (L), BHR, LD, GBTUSA, AAM (Madamoiselle), God Bless the Soldiers (Fred Gray) SEMPER GUMBY! Drive to top of hill and turn left onto Gunston Road. Follow Gunston to 9th St. and turn right. Continue on 9th to the top of the hill and take first left into the SFAC parking lot. (There is a speed warning sign at the top of the hill) Walk to the center of the quadrangle. SFAC will be on your left. Continue on Belvoir Road and turn right on 9th Street. Continue past USO and barracks on right. Take first right into SFAC parking lot. Walk to the center of the quadrangle and the SFAC will be on your left. Blazer uniform, white shirt, club tie, pocket crest, gray trousers, black shoes and belt. DRESS WARM, OUTSIDE EVENT! 1800; Sound Check 1800; gather in Salon C.
Crystal Gateway Marriott, 1700 Jeffereson Davis Hwy, ENTER off of Eads. Parking provided; dinner for singers provided; guests at $65 per person vice normal of $75. Please indicate your commitment via the survey. 0830 Please make time to find parking. 1330; security office, 1st Street, SE, side of the stadium, nearby the "will call" windows. $32 tjat includes $10 toward food/beverage. They have limited our access to parking passes. The cost runs about $18 if you pay. We need to find a way to car pool to accomodate this change. 1820; Dave Rogers will meet us in the bar portion of the lobby to esccourt us upstairs at 1845. Black blazer, white shirt, club tie, pocket crest, charcoal gray trousers, black shoes and belt. Regrettably, no guests can be accomodated for this event. No need to stay beyond the singing for the CJCS. Dave Rogers will provide dinner and drinks. Reduced picnic cost of $20 per person; pay Mo please! White WPAGC golf shirt, gray trousers, black shoes and belt. POT LUCK LUNCH HAS BEEN CANCELLED: AFTER CONCERT DINNER AT RED FOX TAVERN, 2030 I have tables for 14 reserved! The Fairfax, 9140 Belvoir Woods Parkway. Dinner is provided for singers and their guest. THERE IS NO LONGER A CONSTRAINT TO EIGHT PARTICIPANTS! 1045 THIS IS A TIME CHANGE! None: There are some comped seats for dinner. WE NEED SINGERS FOR THIS PERFORMANCE! THERE ARE SEATS AVAILABLE FOR DINNER FOR THOSE WHO WISH TO ATTEND! 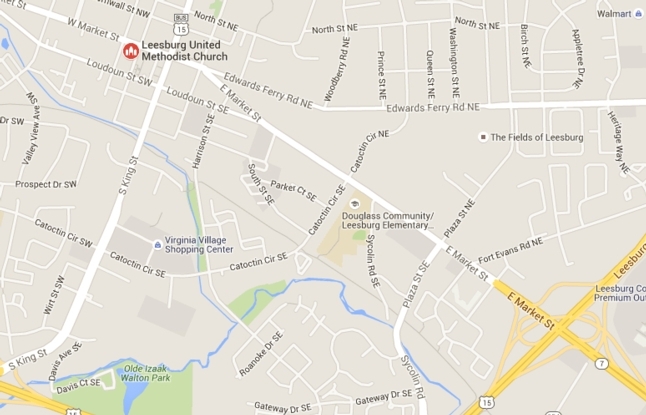 A bus will pick up the club at Tuscarora High School in Leesburg, VA. Maps will be provided. 2015 Assemble in the Consulate Room on the hotel 6th Floor BRING SONG BOOKS! Recommend you park at Galleria II and walk through the hotel connector. The awardee is Leon Panetta; Guests may come see the award and see us sing! Some of us may gather for dinner at Maggianos around 1800. We will sing right after GEN Colin Powell speaks. Bring your songbooks with POW please! We have been asked to sing at the reception following the Mass. For those who wish to attend the Memorial Mass it is at Holy Trinity, 8213 Linton Hall Road, Gainesville, VA. Burial will be at West Point. Parking: Park in Daily Lot at Terminal C; bring your parking ticket with your name and cell phone number on it for validation. 1830 (Specific place to assemble ROOM 341) THIS IS A TIME CHANGE! Please be in uniform by 1830. You can change at the Convention Center in Room 341. Parking is a challenge. We will provide $5 for those who take Metro or park. It is the best we can do! Surface parking is available on New York Avenue I'm told (cheaper than below ground). Please provide receipts and car pool if possible. Grand Old Flag, National Anthem ONLY This is a change! Fado Irish Pub is at 808 Seventh Street NW a short walk from the Convention Center. The spouses could remain there while we sing and then we could all have something to eat/drink prior to going home. YOUR CHOICE! The Pub expects us so I would like to know how many are interested in this! A reception will follow in the church hall adjacent. Dark business suit, white shirt, club tie, pocket crest Dress for cold weather as this is a graveside sing. WHAT A YEAR 2014 WAS! WELL DONE! Guests CANNOT be accomodated. Bring WPAGC Christmas Songbooks AND CHRISTMAS TIES. CONCEPT OF THE OPERATION: We will gather for a short warmup at 1145 in the Fort Richardson Room. We will sing the National Anthem at 1230. We will join the group for the buffet at 1240. Once the buffet is done, we will rise from our seats, don our Santa hats and move to the front at Jim Ferguson's signal. We do our singing set and those who must can quietly leave. Parking: $14 so I understand; Two options: PMI 1325 G Street or Mark Park 1310 G Street. Metro Center is the closest stop. Short walk to the Press Club. A Continental Breakfast for all will be available! Please call Florence Salisbury (703) 821-1660) to RSVP and to arrange for the pot luck. Bring parking tickets with you for validation. Park in LOT A daily or hourly. WE DO NOT NEED TO GO THROUGH SECURITY. Some of us are going to eat dinner at Cafe Mozart on H Street in DC if you would like to join in! Authentic German cuisine. Departure from Lewinsville Presbyterian Church at 1845; return by midnight. Tuxedo, pocket crest, miniature medals (this is going to be a nice event even though we will eat seperately from the MedStar Board. We can just consider this our WPAGC Christmas Party. Spouses are invited to dress formally as well. 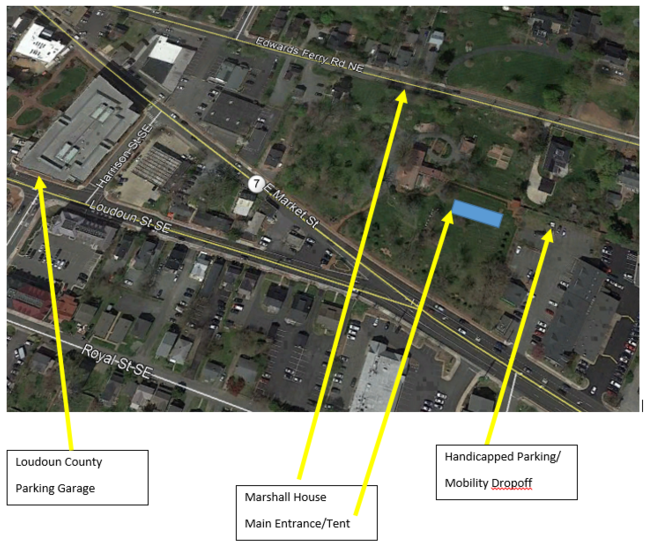 CONCEPT OF THE OPERATION: Bus pickup (SEPARATE TRANSPORTATION BY POV IS NOT RECOMMENDED DUE TO PARKING) will be at Lewisnville Presbyterian (McLean), park your cars there and board the bus. Drinks will be available on the bus. Bring personal containers if you wish to transport unfinished drinks from the bus to the dinner. Arrive at Peabody Library circa 2000. Dinner from 2000 to 2100, separate from the main event, 2100 to 2130 warmup. The spouses will be able to sit and listen from the Exhibition Room adjacent to the large atrium "Stacks Room." After we sing, the bus will return to Lewisnville. ID Card and DOB for you and your guests by November 8, please. For those who can, we will visit Al Bornmann from 1100 to 1200. His birthday is November 12. 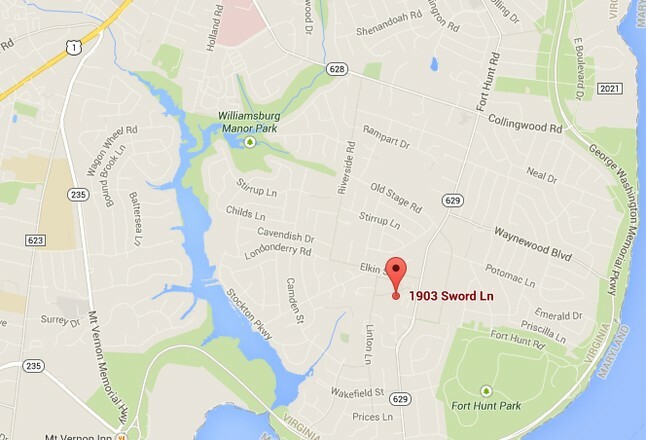 ADDRESS: 1903 Sword Lane, Alexandria, VA. From National AP, take GW Parkway South. Dinner will be provided for singers and guests as long as the numbers are not great. ID Card and DOB for you and your guests by October 15, please. 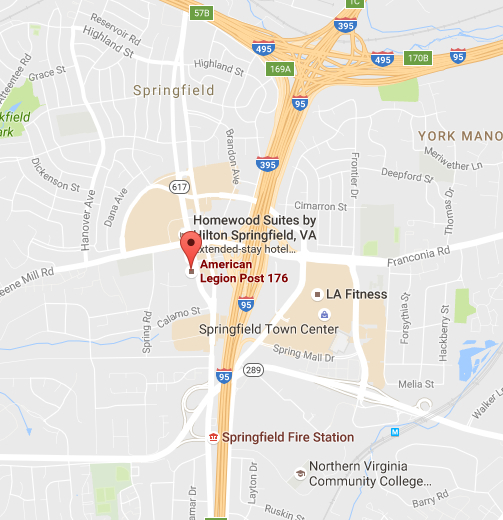 Greenspring Hunters Crossing Conference Center; 7410 Spring Village Drive, go past the "Red A" to the parking lot in front of the Conference Center at the end of that road. Or get directions from the gate guard! Rehearsal Recordings of SHEN, AAM and TIMS will be posted on the rehearsal page 10/7 or 10/8. Impromptu Dinner After Glow: Embassy Suites, 8100 Loisdale Road, Springfield. Directions: Turn left onto the Franconia-Springfield Pkwy coming out of Greenspring. Take the first exit onto Backlick Road and turn right at the stoplight. Continue on Backlick past Fullerton Road and turn right on Boudinot Drive. Stay in the right lane to merge onto the Fairfax County Pkwy south then get over into the left lane. Turn left at the first traffic light onto Loisdale Road. The Embassy Suites will be on the left. Arlington Cemetery Admin Building. SING AT GRAVESIDE! NOTE: We will sing ONLY the Alma Mater at graveside at the end of the Honor Guard functions. THIS IS A LATE MINUTE CHANGE! Reception/dinner to follow for performers and guests at 1700. There is no charge for the dinner for performers or guests at this time. ID Card and DOB for you and your guests by September 14, please. This is for a small ensemble of 12 singers. Tuxedo, black cummerbund, black bow tie, pocket crest, flat collar tuxedo shirt. $300 stipend per performer; all other costs are to be borne by individuals. TBD; We will be singing ATB with Ayla West (The Voice winner); she will join us at the August 4 rehearsal. Parking is on the street, but Sunday morning should not be a problem. Please plan ahead for hot weather (umbrellas recommended) and parking challenges. DO NOT BRING TENTS AS PREVIOUSLY SUGGESTED. THERE IS NO PLACE TO PUT THEM..
Money and King Funeral Home, corner of Lawyers Road and Route 123/Maple Avenue, Vienna, VA.
WE WILL NOT REHEARSE MONDAY NIGHT, JULY 21! $20 per person; guests are welcome; PARKING IS BEING ACCOMODATED ON SITE, GUIDES WILL SHOW YOU WHERE! There will be private tours of the Eisenhower home, putting contest on Ike's PGA putting green, a Park Ranger presentation "World Leaders at the Farm,", a flag lowering ceremony, and the picnic supper featuring Ike and Mamie's favorite foods. None; parking is being arranged. Travel and some of the cost of meals may be subsidized. We are limited to a trip section of 35 performers counting our director. None; brunch to follow (Kimmit's 2419 North Fillmore Street, Arlington, VA); would be advisable to gather at the above address and car pool to VN Memorial as parking will be difficult. 1. From the VN Memorial: Cross the Theodore Roosevelt Bridge edging into the right lane. Get on the George Washington Parkway then exit left at the Spout Run turnoff just after Key Bridge. Turn right at the first light onto Lorcom Lane and right at the next traffic signal onto Fillmore Street. 2419 is a block and a half down on the right. Ample parking can be found on Fillmore, at the community center across from the house or on 24th Street. 2. From I-66 (Eastbound): take exit 72 (Spout Run / Lee Highway), turn right at light at bottom of exit ramp onto Lee Highway, left at next light onto Spout Run Parkway, left at the next light onto Lorcom Lane, then right at the traffic signal onto Fillmore. 2419 is a block and a half down on the right. Park on Fillmore, at the community center across the street, or on 24th Street. 3. For Mapquesters or Nav Systems: Plug in 2419 North Fillmore Street, Arlington, VA 22207. 1200; 1215 Sound Check at the reviewing stand on Constitution Ave in front of the National Archives. 1245 (15 minutes); during parade (90 seconds live televised) at 1434. Location: The reviewing stand will be on the south side of Constitution Avenue between 7th and 9th Streets, opposite the National Archives. We will sing in the street in front of the reviewing stand. See map. Call time is 1200 at the reviewing stand. Sound check will be at 1215. Preparade performance is currently scheduled for 1245 to 1300. Televised sing is scheduled for 1434.Assemble at the reviewing stand at NLT 1415.We are released after this performance. Uniform: Black blazer, white shirt, club tie, pocket crest, black shoes and belt. It is supposed to be in mid 80’s so please plan accordingly. Food/Grog: There is a Gordon Biersch at 900 F St about 4 blocks directly north of our location. There is also a Chopt Salad at 509 7th Street. Probably others so those more familiar with the area are welcome to so advise. Just insure you get back by 1415. Parking: Parking is going to be a challenge I’m told. Metro is a good option. Parking is rumored to be available south of the Air and Space Museum but plan on walking some to get there. Television: The parade starts at 1400, televised on News Channel 8. Don’t forget to DVR it! Communication: My cell phone number is (703) 973-8731. GUESTS ARE WELCOME:Suggest you bring folding chairs, water, etc. as we are simply not sure how all this is going to happen nor if or where we might be assembled. RISERS: In the interest of hassle reduction, we will use the wooden risers. I can use some help at 1115 (find my truck on Madison or Jefferson Ave). The best way is going to be to load the four risers onto the dolly and walk it over to the reviewing stand. A famous conductor, musician and clinician (Weston Noble) and WWII Veteran will be our special guest. He may consent to lead us in one of the songs. Connie Chase has requested we grant this honor and GEN Hartzog has graciously agreed. The service is being conducted by a Navy Chaplain who is deploying. Reception will follow the service. ID Card and DOB for you and your guests by May 14, please. ID Card and DOB for you and your guests by April 22, please. The awardee is Gary Sinese (LT Dan); Guests may come see the award and see us sing! Eternal Father (4 verse), Alma Mater This is a change! Please bring your song books! 1530 Please note this change! None; free parking in Parking Lot 5; . Reception and light dinner; no guest space for this sing. Singers are free (we may have to spread some cost to each singer if the cost for singers goes above $900): Guest cost is $45 per person (salmon or filet) Singer cost will be $12 per person. Please make checks out to WPAGC and give them to Mo Faber. We will honor Linwood Mather at this performance. Do not register for this one directly; please bring checks to pay for your guests! Army Blue skit participants, remember to bring at least your hats; I have the signs; bring shades and if something can be put on quickly, eg, jacket, tool belt, bring it too. The burial is at the columbarium; no church service; we will sing for the attendees at the reception at the Women's Memorial; we should be done by 1430. Attendance at cocktail hour is included; tip for valet perhaps. 282 nd celebration of George Washington's Birthday; you may park in lot P1 and walk to building 4 (Ford Orientation Center) or use valet (starts at 1745); we will warm up in the Smith Auditorium in the Orientation Center; we should be done by 1930 or 1945. This sing is for a balanced group of 12 singers; lunch for the singers, Guests CANNOT be accomodated. Bring WPAGC Christmas Songbooks AND CHRISTMAS TIES. CONCEPT OF THE OPERATION: We will gather for a short warmup at 1215 in the foyer outside the ballroom. We will join the group for the buffet at 1230. Once the buffet is done, we will rise from our seats and move to the front at Jim Ferguson's signal. We do our singing set and those who must can quietly leave. There is a reception and buffet dinner for singers and guests following the concert. 1330 WARMUP AT THE CHURCH THEN MOVE TO BLISS FARM; DO NOT GO DIRECTLY PLEASE! 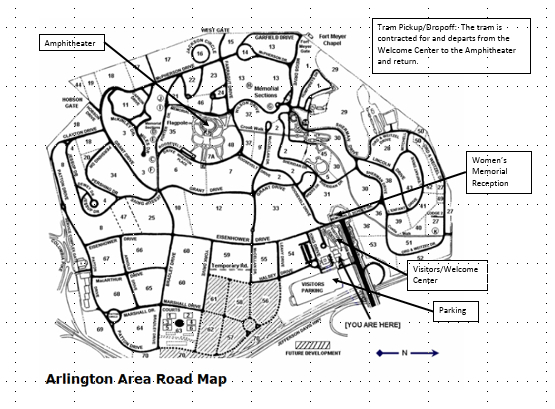 Operation Concept: We meet and park at the Gettysburg Presbyterian We warmup there then consolidate into as few cars as possible and move to the Journey Through Hallowed Groud event site just south of Long Street, to arrive there by 1415. At approximately 1600, we move back to the church to sing BHR at 1645. For those who wish to stay and eat afterwards, we can walk up to the Blue and Gray Bar and Grill (reservations for 30) leaving our cars at the church. 2030; they expect to be on time. We'll see! Valet parking; No dinner gathering prior to the event due to earlier time; Warmup in the basement of the main entrance; Spouses/Significant Others are welcome to sit and listen in the back of the auditorium. Dinner at Sprachers, 127 Hillside Drive, Locust Grove, VA; Bring song books! 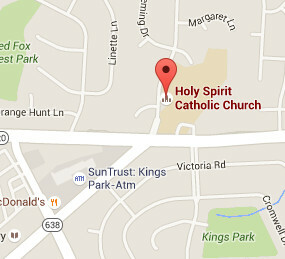 Main Base Chapel, 3251 Embry Loop, Quantico, VA, 22134 Recommend you use Russell Road off either Route 1 or I 95. Base Chapel is at the A on the map! Bring your songbooks for AAM and TIMS; Note Eternal Father will not be included for this performance. Parking is on the street, but Sunday morning should not be a problem. Please plan ahead for hot weather and parking challenges. For tickets refer to the announcement on the website from Dave Rogers. This is Gary Fitzgerald's church; guests are welcome! Use the Chain Bridge Road entrance to the church parking lot and proceed to the handicapped entrance. Directly in front of you will be the choir room. Gary will meet us there. PLEASE BRING YOUR SONGBOOKS FOR ETERNAL FATHER. ETERNAL FATHER REHEARSAL RECORDING IS ON THE WEBSITE. Terminal A (Sun Country and Air Tran): Outside the security screening! WWII, AFM, GBA, GBTUSA, ATB, etc. Bring your parking passes with you for validation! Bring your parking passes with you for validation! Allow some extra time for security! Tuxedo, black bow tie, black cummerbund, pocket crest, miniature medals; a place to change will be provided. Guests are welcome; Singers invited to stay; Special rate of $75 per person, please see Bill Spracher if interested. Honor Sing at the reception. Guests are welcome at this event but it will be a "sing and dash" for most. No guests can be accomodated; Several Congressmen and Senators in attendance. Blazer uniform Friday night; Tuxedo, black bow tie, black cummerbund, pocket crest, miniature medals, Saturday night. Do not register for this one directly; please bring checks to pay for your guests! Lisner Auditorium, George Washington University Campus, 730 21st St, NW, Washington, DC. Casual for rehearsals; Tuxedo, white shirt, black bow tie, pocket crest, medals; changing facilities are available. Parking is available on the street or in nearby parking garages. GEN Keith Alexander, '74 will preside at the service. The family invites all to a reception to follow at the Women's Memorial. Blazer uniform, white shirt, club tie, pocket crest, gray trousers, black shoes and belt. Festive Christmas accessories! WPAGC Christmas Songbook is available on the website. None; We have ten seats reserved for those who have indicated they will eat! Parking is on the street at reserved meters, no parking passes needed. No idea how effective this will be, maintain flexibility please! Blazer uniform, white shirt, club tie, pocket crest, gray trousers, black shoes and belt. (This is a change!) NEW CHANGE: Bring rally gear! Hats, jackets, vests, etc. Dinner at Solomon's at 1600 for those singers and guests interested. Please indicate your commitment on the survey. SOLOMON'S Address: 11907 Cedar Creek Drive, at Fawn Lake. Gate guard will have you name on a list at both gates. None, valet parking is provided. Warmup location TBD, likely the basement. Sing and dash unless you prefer to stay for the lunch. 15 minutes: S&SF, AFM, MOTL, GBTUSA, GBA, WPATC. Bring songbooks. There may be weather implications on Tuesday; watch the website and/or youremail/phone. 1300 until you can’t stand it anymore. Volleyball, croquet, hay rides, fishing, hiking, etc. BRING CHAIRS! Lunch will be provided at the church for singers and guests. Continental breakfast is provided starting at 0800. MINIORD 17-12B: VIP Premier: "Profiles in Service: It Takes A Nation"
Directions: I295 to Malcolm X Ave exit; use Arnold Gate; DIA HQ on right. Join Dave Rogers at the DIA HQ entrance. Dinner is being provided to veterans, singers and one guest per singer. Ticket sale: nationals.com\westpoint: Can we make them 5-0 when we sing? Alma Mater (Processional); Mansions, Onward Christian Soldiers with the congregation. Reception follows the graveside service at the Officers Club. Blazer uniform with gray trousers, black shoes and belt. Guests of singers are welcome! Park in rear of the church, enter through the doors there and meet in the Memorial Chapel that will be on the right hand side. Reception will follow the service and all are invited to attend! We need a good showing for this sing! OBOAT, IYGE, BH, EDBN, AB, AM, TC, etc.